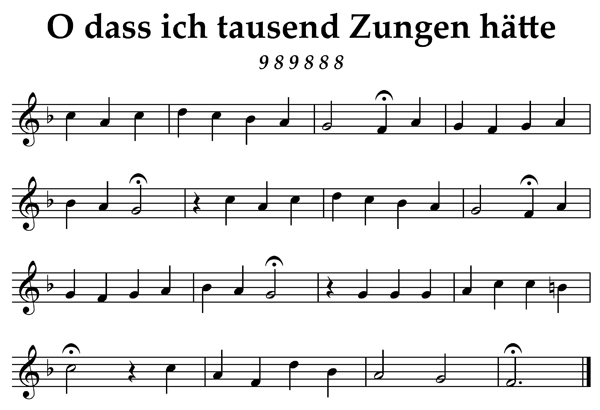 Johann Balthaser König (1691 – 1758) composed this tune, which later became associated with Johann Mentzer’s hymn “O dass ich tausend Zungen hätte” (Oh, That I Had a Thousand Voices). Posted in Themes. Tagged chorale, German, Johann Balthaser König, Johann Mentzer.